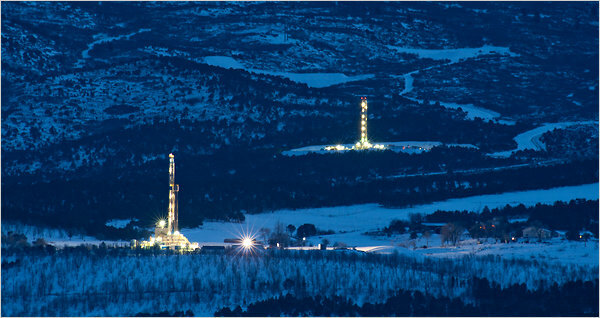 Hydraulic fracturing (or fracking) is a way to extract natural gas that is trapped in underground shale rock formations. In order to release this natural gas, a well must be drilled and then pumped with millions of gallons of water, sand and over 80,000 pounds of chemicals, some of which are known carcinogens. 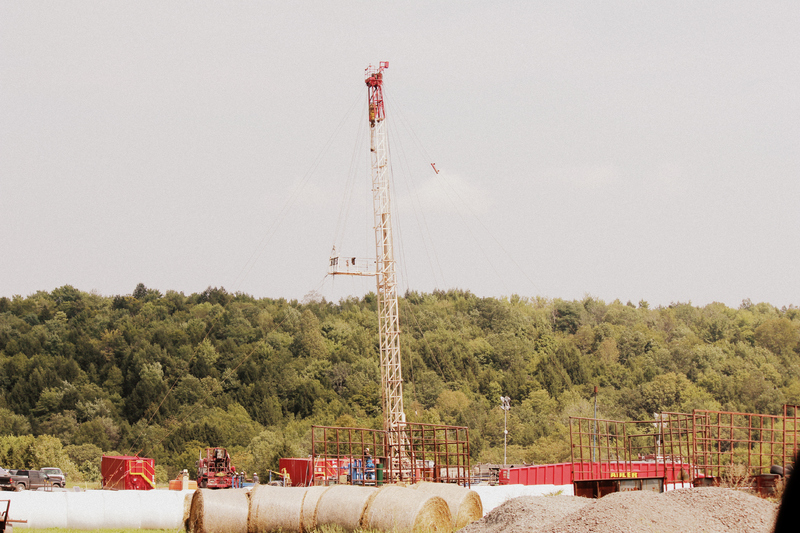 This pressurized injection creates fractures in the shale rock which helps the natural gas to be withdrawn from the well. After a well has been fracked the natural gas must be separated from the “produced water” by evaporating the volatileorganic compounds using evaporators and condensate tanks. The wastewater is then trucked off to facilities where it is treated. How could something like this be happening? In America there is a piece of legislation called the Safe Drinking Water Act that is supposed to ensure the purity of our drinking water. However, the process of gas drilling was excused from the Safe Drinking Water Act in the Halliburton Loophole and exempts oil and gas companies from disclosing the chemicals used in the fracking process. The FRACK Act (Fracturing Responsibility and Awareness to Chemical Act) is a House bill intended to repeal the Halliburton Loophole and require oil and gas companies to reveal the chemicals that they use in the fracking process. We want to stop fracking. There are different ways to do this such as a political ban, getting the DEC to declare it too dangerous or by proving that it is not economically viable for NY.